You can plant as many flower beds as you'd like, line your yard with crisp mulch, and repaint your home's exterior, but if you're still living with standard garage doors, chances are your curb appeal is suffering. Not only is replacing a garage door with a higher-grade version a fairly small reno project, but when it comes time to sell, the new upgrade can dramatically increase your home's value, according to Remodeling magazine's annual Cost vs. Value report. 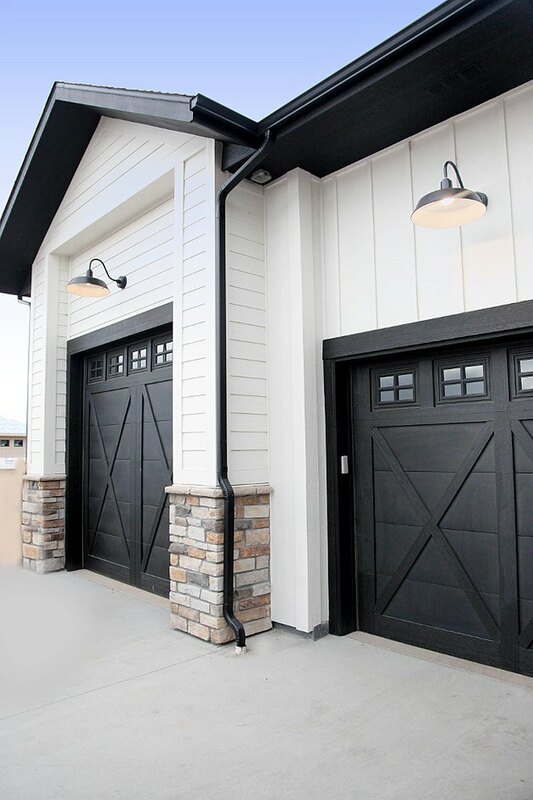 Not sure which kind of garage door best suits your exterior decor? Not to worry. These nine beautiful options will give you all the inspo you need to finally take the stylish plunge. 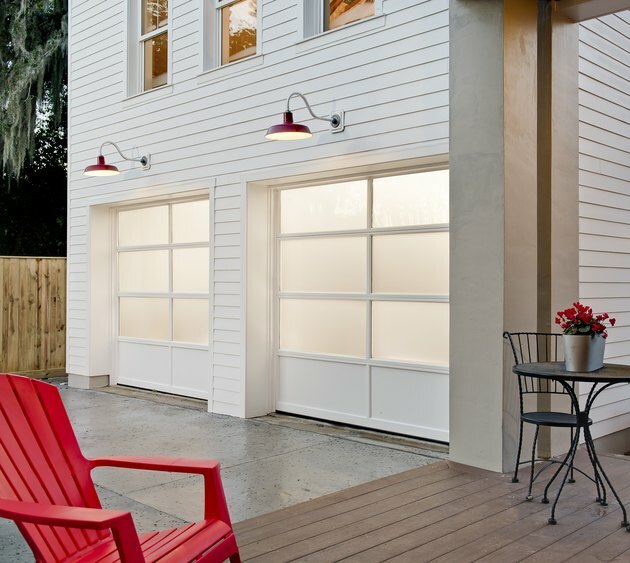 Trade in your standard garage doors for glass like these semiopaque beauties. Available in a wide range of colors and styles, these glass and aluminum garage doors will brighten up the exterior of your home and bring some much needed elegance to an area that is known more for its function than its good looks. Dreaming of a home that exudes Old World charm? Well, you're not alone. Ryan Street and Associates had the same idea for these handsome digs. Of course, you can't complete this medieval tale without garage doors to match. 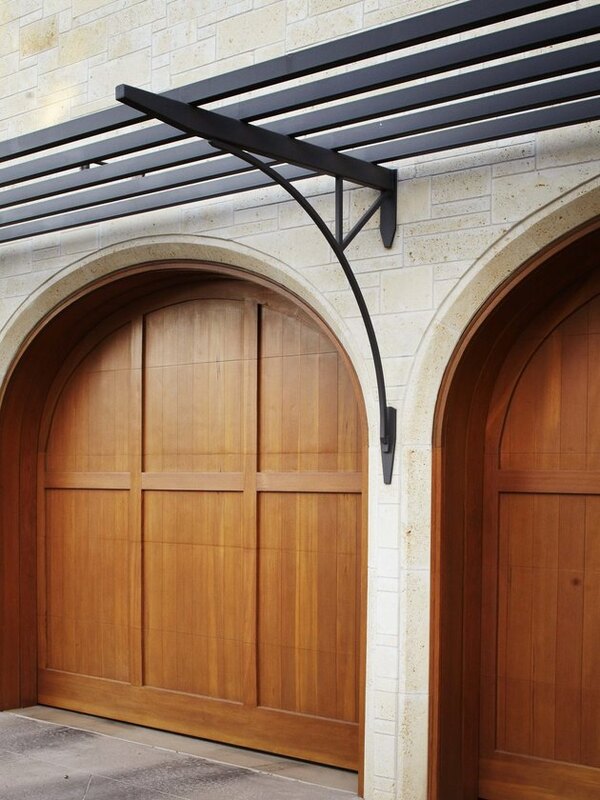 Arched wood doors topped with a steel pergola above, complement the stone facade creating an undeniable sense of history and grandeur. 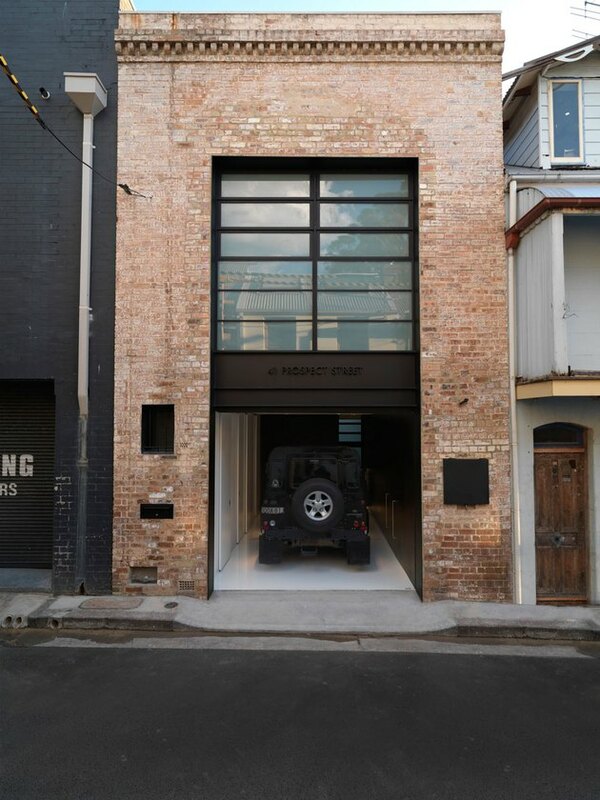 This 19th century grocery warehouse in Sydney, Australia has the right idea: a steel garage door. Ian Moore Architects gave this home's facade a chic industrial upgrade, by combining the original brickwork with a steel garage door topped with glass and steel frame windows. The contrast between old and new tells the beautiful story of this home's modern day transformation, and can do the same for yours, too. 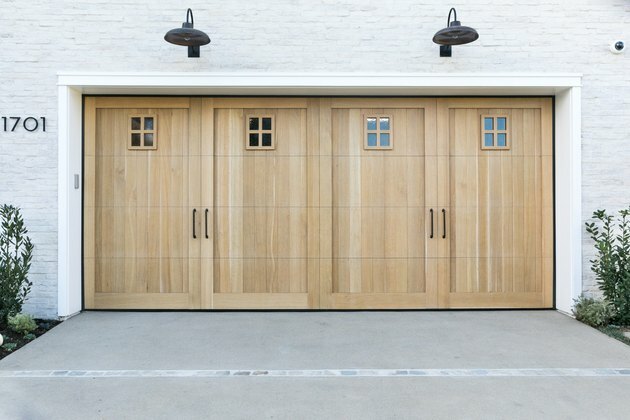 It's hard for garage doors to feel hip, but these light-wood chevron pattern doors feel downright chic. Custom-made for this craftsman-inspired, farmhouse, these doors would make a Pinterest-perfect addition to any contemporary pad. Heather and Joe from the blog Household No. 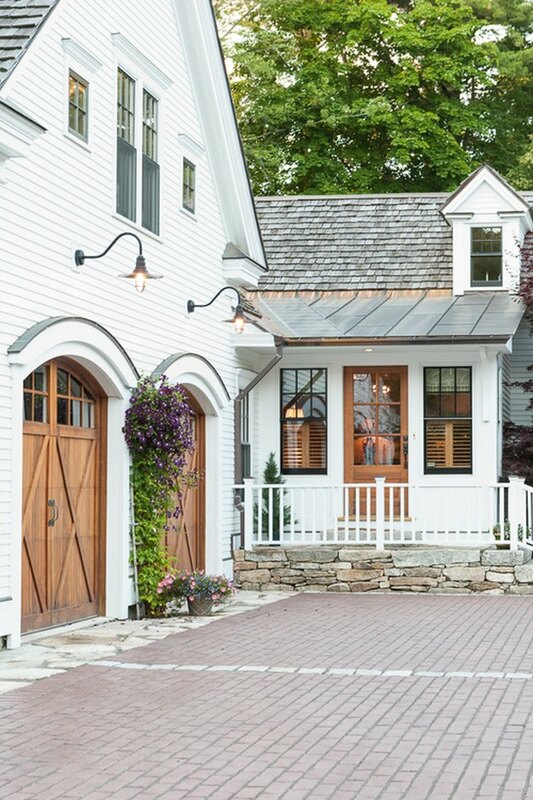 6 redesigned this farmhouse from top to bottom, including the garage doors. After being turned down by the neighborhood design committee four times to paint their home black and white, they finally got their wish (Insert heart eyes emoji here). The gorgeous black garage doors and trim — painted in Tricorn Black by Sherwin Williams — give this farmhouse a modern punch that makes you want to stop, stare, and repeat at your house. This beautiful Newport Beach, California abode designed by Brooke Wagner, is a lesson in the idea that sometimes less is so much more. 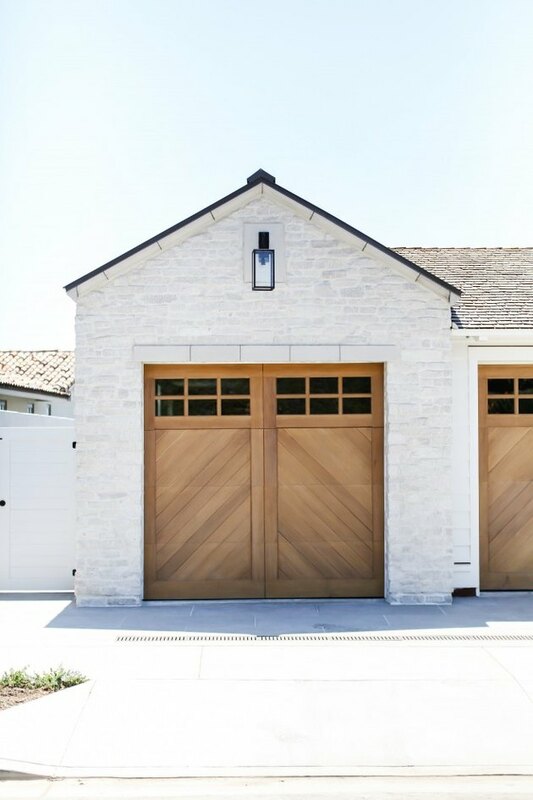 Simple yet striking, the light wood garage doors paired with white stone facade are a match made in minimalist design heaven. 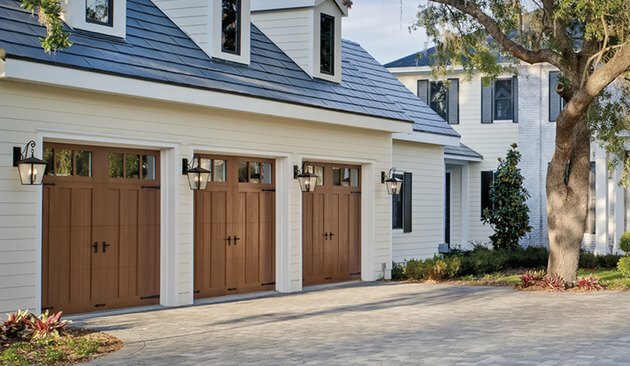 There's no reason your garage door needs to be neutral. Pick a cheerful aqua blue like these doors to make coming home that much sweeter. Plus you may find it adds extra charm to your already picturesque lawn. 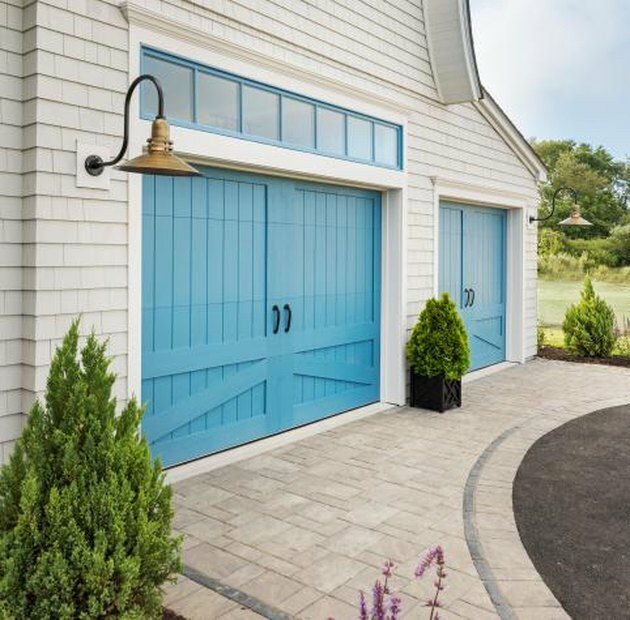 Your Craftsman-style home deserves a garage to match — and these steel carriage house doors with faux-wood overlay fit the bill. Combine with a few lantern wall sconces for added authenticity.